Our Firm has extensive experience handling claims for all types of motor vehicle accidents, including, but not limited to, collisions involving motorcycles, cars, trucks, mopeds, pedestrians, and bicycles. As experienced Auto Collision Lawyers, we will promptly and thoroughly investigate your case to assess damages and determine fault. Once hired, we will communicate with the insurance company on your behalf and will give them only the information they need to evaluate your claim, thereby protecting your privacy. If the insurance company refuses to recognize the true value of your case, we will not hesitate to file suit and present your case before a jury so that you can be awarded the compensation you deserve. The National Highway and Traffic Safety Administration (NHTSA) reports that in 2012, motor vehicle collisions were the leading cause of death for individuals ages 3 to 33. According to the NHTSA, there were 33,561 people killed in motor vehicle crashes in 2012. Additionally, motor vehicle crashes were responsible for over 2.3 million injuries in the United States. On average, an individual is killed in America once every 12 minutes as a result of motor vehicle collisions, and injured at a rate of nearly 7,400 per day. An auto collision can dramatically alter a person’s life, especially when the injuries are catastrophic, like brain damage, broken bones, spinal cord injuries, torn rotator cuffs, torn tendons or torn ligaments. Often times, even minor and moderate auto accidents can also cause painful injuries, such as cervical strain, concussions, bruising, lacerations, and scarring. Because many injuries caused by car wrecks require expensive and extensive medical care, physical therapy, and possibly even surgery, you will likely need the help of an experienced auto accident attorney. The insurance company for the driver whose acts caused the collision will start an investigation immediately. It is the insurance company's responsibility to try to limit the compensation of the injured person to the lowest possible amount in order to protect their profits. Insurance companies have established very specific and elaborate policies on handling auto accident claims, especially in the early stages. Insurance company will take recorded statements from the persons involved in the car accident, have the vehicles examined, have photographs taken, obtain the police report and try to establish the extent of the injuries suffered in the auto collision. The insurance company is usually completes these tasks within the first week after the auto collision and many of them within the first 24 to 48 hours after the auto collision. Insurance companies try to reach a quick settlement with an injured person. They often do this before the full extent of you injuries are known. Their purpose is to avoid responsibility for future medical expenses, lost wages, and other damages that are likely to develop. This is a situation that an experienced Atlanta Auto Injury Attorney can help you avoid. 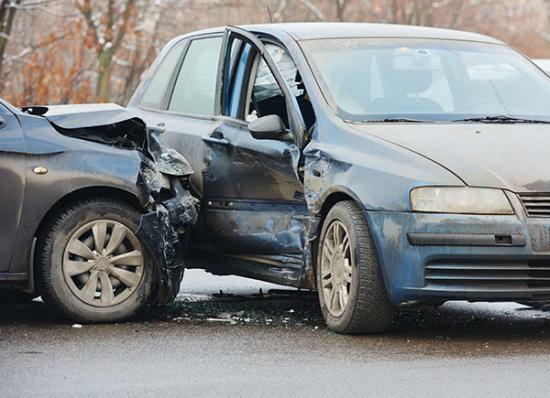 When a person is injured in an auto collision, it very often takes months to completely assess the person's injuries. At that point, the person may need surgery, physical therapy, or other extensive treatment. The injuries may even leave the person permanently disabled. Therefore, the true value of a claim can only be assessed after most of the medical treatment has been completed. The State of Georgia provides in most, but not all, cases a two-year period of time in which to file a lawsuit on a claim. Accordingly, there is no need to rush to a settlement with an insurance company. Other areas where an experienced Georgia Auto Accident Attorney can help you. There are other significant issues that develop for persons injured in a car accident. For instance, if your health insurance company pays for your medical bills they will very often seek reimbursement from your settlement with the other driver's insurance company. There are several legal limitations on these rights to reimbursement. An experienced Attorney can use the various laws in Georgia to maximize the amount of recovery that you, the injured individual, gets to keep. If you were on the job when injured, the workers' compensation insurance company will try to obtain reimbursement of their payments for medical expenses and lost wages. There are several legal limitations on these rights to reimbursement as well. An experienced Auto Injury Attorney can use Georgia law to maximize the amount of recovery that you, the injured individual, gets to keep. These are important issues that you need to understand prior to agreeing to any settlement. Additionally, an experienced Auto Injury Attorney can often find additional insurance coverage to help you be completely compensated. Georgia law requires individuals to maintain liability insurance coverage for their automobiles. The minimum requirements for bodily injury liability insurance coverage in Georgia are $25,000.00 per person and $50,000.00 per accident. Since these insurance limits may be insufficient to completely compensate you, an experienced Georgia Car Injury Attorney will explore what other insurance coverage may available to you or discover the extent of the at-fault driver's personal assets. For instance, the responsible driver may have the right to coverage from insurance policies of family members, an employer, a rental car company or from an "umbrella" policy. In addition, other unknown persons or entities may also have liability for the auto collision. For instance, if the road or a traffic light was defective, a government agency may share responsibility for the collision. In addition, your own insurance policy may provide you with coverage for your injuries. An experienced Atlanta Auto Injury Attorney can also determine whether or not your “uninsured” or “underinsured motorist” insurance coverage can be utilized to help completely compensate you. Since insurance companies have vast experience in evaluating car accidents, they often will pay the lowest compensation possible. It is important to have an attorney on your side with considerable experience dealing with these insurance companies. It is always best to have an attorney who will not settle your case for anything less than its full value. If the insurance companies are not being reasonable in their valuation of your case, you need an attorney who will fight for you, who will file a lawsuit, take your case to trial and prove why you deserve to be compensated. Our law firm will do that for you.